If you’ve been following our blog at all, then you probably know that Citywide SEO offers a wide selection of digital marketing services for small businesses. Essentially, digital marketing includes all the efforts you make to promote your business online and includes pay-per-click (PPC) marketing and search engine optimization (SEO). As we’ve covered before, PPC is a great way to drive your website to the very top of search results pages within a very short amount of time. It’s a great option for companies that need immediate business and aren’t able to wait months on end for SEO to accomplish the same results organically. But is PPC a sufficient standalone strategy for your digital campaign? The best digital marketing plans are multidimensional and include outreach on a vast range of platforms. SEO campaigns include social media outreach, link-building, blogging, article writing, advertising videos, and more. There’s simply no way consumers won’t stumble across your business if you’re being diligent in each of these areas. Unlike PPC, SEO builds and proactively protects your commercial image. While PPC simply announces your company’s presence, various SEO strategies tell consumers what your company is all about and strategically shape public opinions. This makes your company better protected against both warranted and unwarranted reputation attacks, and helps move consumers through the purchasing process by educating them and by establishing trust. Business owners need to know that there are no organically ranked businesses present above the top of the fold of Google search page results. If you’ve attained first page placement solely through SEO, web users will have to scroll down to see your listing. Thus, PPC ensures optimal amount of visibility, when targeting consumers on the go who are more likely to use the very first listings they see. Additionally, PPC is one of the most effective forms of marketing available today. Rather than paying a flat sum in hopes that a potential customer receives your message – as you would with a billboard, TV commercial or radio spot – PPC literally only costs you money when it actually works. If your online ad doesn’t get any traffic to your site, you don’t pay for it. You are only charged when the ad works and sends business to your website. Most consumers are able to distinguish between sponsored and organic listings. Those who have the time and the ability can scroll past the top ads on the page. Think about your own browsing habits; how often do you click on the sponsored ads at the top of the search results page? When you run your campaign with a combination of SEO and PPC, your business can be nearly impossible to miss. You catch those who don’t notice or don’t mind clicking on the pay-per-click ads as well as the customers who would rather scroll into the Maps or Organic sections of Google. Moreover, these two digital marketing methods can share a symbiotic relationship where each campaign reaps ongoing benefits from the other. 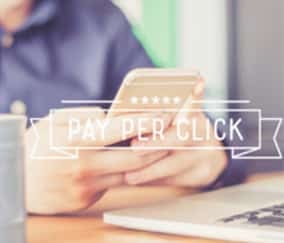 As your organic rankings increase, you typically experience a decrease in the cost-per-click of your PPC campaign. As the cost-per-click decreases, your website generates more traffic and domain authority, which in turn helps push your organic SEO rankings even higher. If you think about it that way, it seems kind of wasteful to not run a dual campaign, right? Citywide SEO can help you create a blend of SEO and PPC strategies to boost your rankings and expand your online outreach. Whether you need to plan or enhance your sponsored or organic listing, give us a call today at 210-200-8924.